The town of Duns, about a mile from the castle, has been the regent county town of Berwickshire since the town of Berwick ceased to be in Scotland. The little market town, which took its name from the ‘dun’(hill) on which it is built and gave it to the medieval scholar Duns Scotus, has a population of less than two thousand. This castle is a ‘gothyck’ pretender, built long after the days of siege by Gillespie Graham, on the site of an older building, part of which is incorporated into it. For turreted piles of this sort the designer typically chose a picturesque setting, and Duns is no exception. On the subject of famous men, it should be said in fairness that at least two other places claim Duns Scotus as their own, one of them in England and the other in Ireland. About Jim Clark the racing driver there is no squabbling, however; he was born here and was killed on the track (in Germany) in 1968; a small museum in town houses some of his trophies. 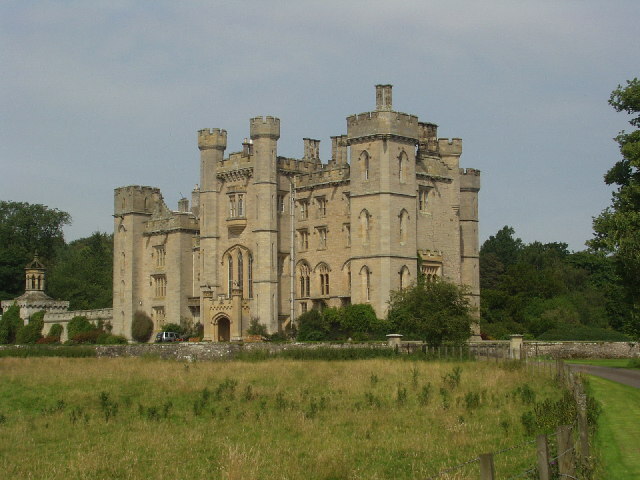 Duns Castle is a must-see attraction, contact Ireland and Scotland Luxury Tours now to organise your visit on your tours of Scotland.